I’ve worked with Lawn Care for 8 years. They take great care to insure my satisfaction and my yard has increasingly looked better every year since they took over the service. I would strongly recommend them for any landscaping needs! John and his brother Ryan have been doing my lawn for several years. They are always timely with regard to cutting the grass and they fertilize 4 times a year. 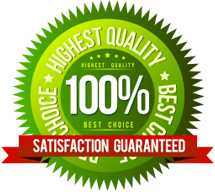 They are very hard workers and I would recommend them to provide lawn service care. I have used the Lawn Care service for 3 years. They give excellent service. They are always on schedule, and the clean up after the service is note worthy too. I am happy with the care and concern their lawn service provides to my home and lawn. I think my yard is the neatest and greenest in my neighborhood. The Lawn Care are the best lawn service I have ever used for my lawn. I will continue to use their services. I have had Lawn Care service for the past 3 years. I have never been dissatisfied with this service. I needed this service right after my husband had his heart attack and I could not keep up with the lawn work. Since that time we have just kept the service because the work has been very good and they are always on time. I would tell anyone to engage this company for their lawn work. They are the best! The work was done on time and just as we discussed. I would highly recommend. Although your old spark plug may still work properly, installing a new one is a cheap and easy way to ensure optimal performance. Handheld lawn machines, which typically have two-cycle engines and run on a mixture of gasoline and oil. Four-cycle engines, common on lawnmowers, will need to be drained of oil.